Employment Status / Type: Contract. · Customer calls; emails; outbound calls; escalations: CSR gets full understanding of customer’s enquiry, provides full customer support for all fiber services on first contact, solves the issue and logs it on CRM and Wincable. · If issue can’t be resolved during the interaction, it is escalated by the CSR to the CE leader and followed up through the proper channels until resolution. · Track and monitor the customer problem exceeding the agreed SLA’s and escalate to the required level of management until complete resolution. 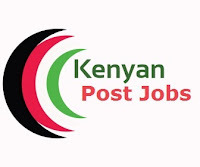 Interested and qualified candidates to submit their application including a detailed CV and day time telephone contact to recruit@ke.wananchi.com on or before 13th September 2018. The subject line Customer Service Representative – High Value.